With beautiful and appealing interiors, Hotel The Palmdale represents accurately the liveliness of the city of Chandigarh. The reception is bright and entails nice woodwork giving you a warm and hearty welcome. The rooms are filled with lively vibes of spring with bright floral wallpapers and woodwork behind the bed on the wall which contains large and beautiful upholstery. 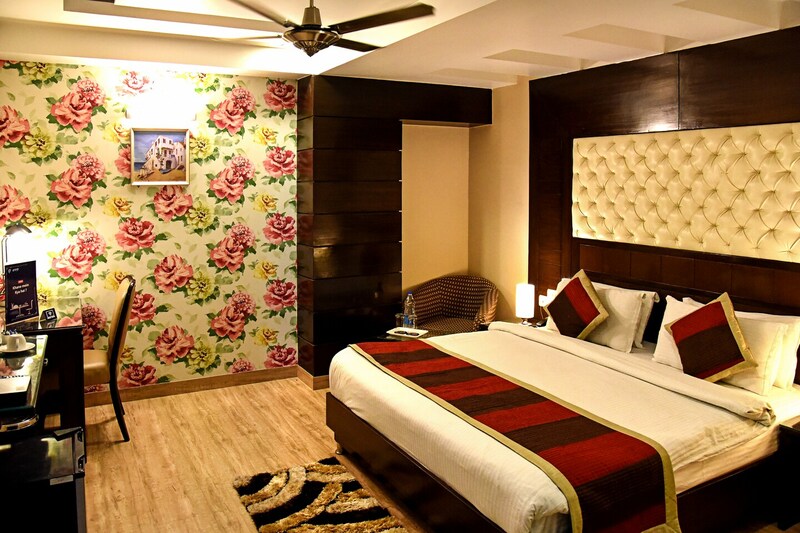 These rooms are well-furnished with all essential amenities that are convenient and suitable for all kinds of travelers. They are super clean, spacious and well-lit. The bathrooms are also neat and clean and well-maintained with a geyser for winters. The rooms also have a room heater.